In stock 169 items in stock. 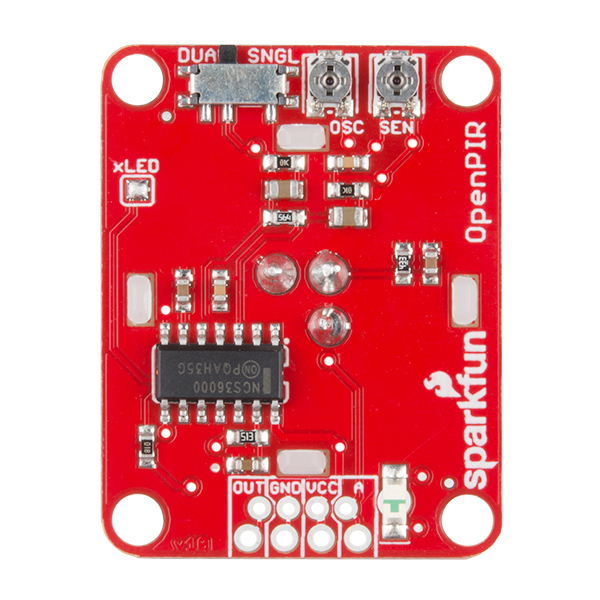 The SparkFun OpenPIR is a highly customizable Passive Infrared (PIR) sensor based around the NCS36000 PIR controller. Passive infrared (PIR) sensors are able to detect motion in a small/local area –-- they’re the sensor of choice in security systems, home automation and proximity-sensing applications. 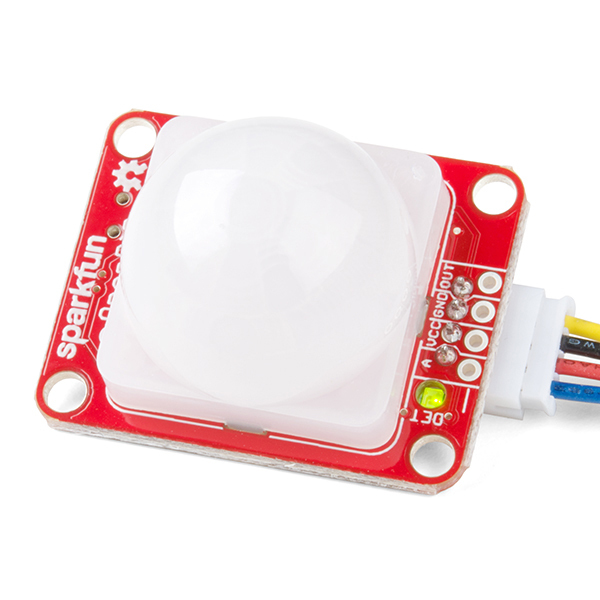 The OpenPIR allows you to set the sensitivity, trigger time and pulse mode of the motion sensor so you can tailor-fit it to your application! 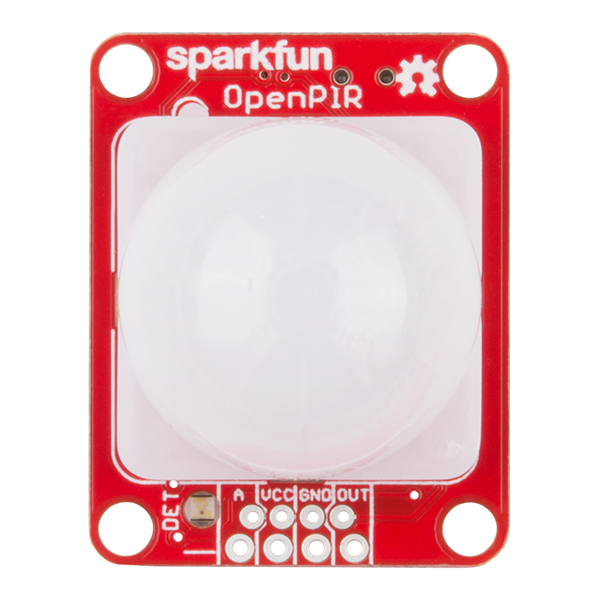 How to use and customize the SparkFun OpenPIR motion sensor. I need a QWIIC version for use with ESP products that lack ADCs. Edit: Oh, it has a digital mode. I still want a QWIIC version though! What is the max. detection distance and 3-D detection profile? When the trim pot for sensitivity is at midpoint (as it is at time of purchase) it will detect a person at 6-8 feet (2-2.5m) away. The maximum range is about 16 feet (5m), give or take a bit. For an idea of the detection profile, check out this document. Page 15 of the document has the profile for the CWM 0.5 GI V1 lens we use on this product. I've had the chance to play around with the OpenPIR for the past week and it works great for a post mail box activity monitor project I'm doing. I was bothered at first that it took several minutes to boot up after power on, but come to find out it had to do with the OSC pot. After trying a few adjustments to the point where the LED came on for just a second and half to indicate movement did speed up the boot/initialization considerably. More sensitive, 3.3 and 5v tolerant and more adjustable. Worth every penny. This worked out really well as a proof of concept design for one of my clients. The 'open' design leaves me with a lot of options as we go forward on future designs. My wife wants me to incorporate this into my next iteration of an under cabinet light system for our kitchen. 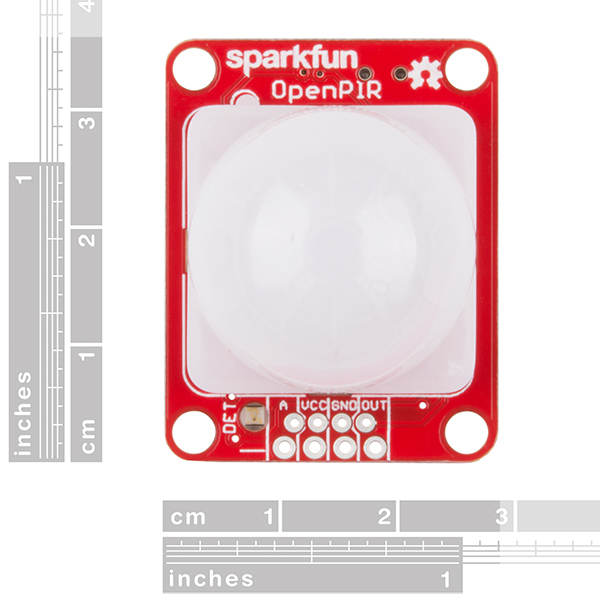 The OpenPIR is easy to set up and use. 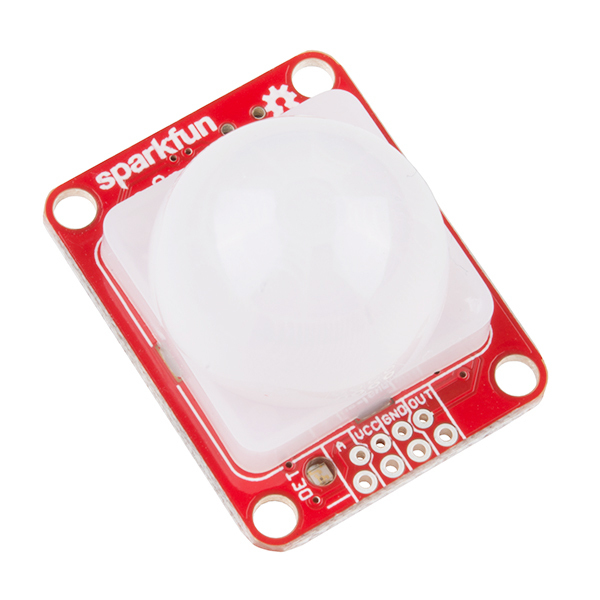 The analog output allows a better view of how the sensor is actually responding to movement. The digital output can be used for straightforward on/off control purposes. I'm using the sensor to turn on and off the LED backlight of an LCD display. The display I'm replacing has been on for many years and I've learned the even LEDs loose their output level over time, albeit over a long period of time. I have purchased at lot of different PIR modules for evaluation (over a dozen) and this one seems to work the best. Set up the PIR to a counter to measure false triggers. None so far, but it's only been about a week. If all testing works out, I may be purchasing a lot more. Please keep these in stock. Using 4 c-cell batteries in a small enclosure, I think the battery life should be >5 years, due to the low 80 microamp standby current. Thanks again.